Bill Hughes, Alec Taylor, and Robert Letham agree to answer questions about books that have impacted them in their faith. Bill Hughes was raised in Liverpool and served a number of churches in England, Scotland and Florida. He has now retired from pastoring one congregation, but continues to preach extensively. Alec Taylor had a long ministry in Birmingham. He has now retired and worships in Bradford on Avon. He has for many years published a widely used series of daily Bible Notes. Robert Letham is the Professor of Systematic and Historical Theology at Union School of Theology, Bridgend. A.T: A Wind in the House of Islam by David Garrison , How God is drawing Muslims around the world to faith in Jesus Christ. R.L: Richard A. Muller, Divine Will and Human Choice: Freedom, Contingency, and Necessity in Early Modern Reformed Thought. Baker Academic, 2017. It’s supposed to be a seminal work. B.H: Authority (Dr Lloyd-Jones). The Revival Year Sermons of C.H. Spurgeon. 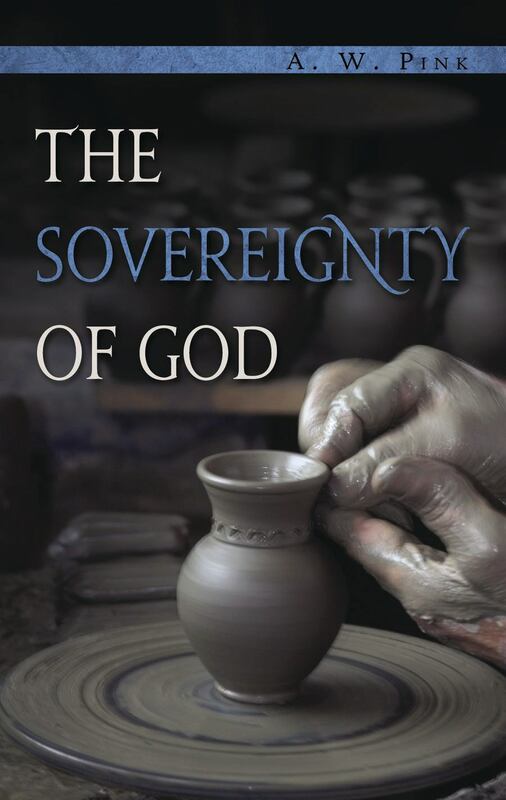 A.T: The Sovereignty of God by A.W. Pink , This book transformed my understanding of theology when I was questioning my Pentecostalism and brought me to the reformed faith. B.H: George Whitefield, Arnold Dallimore. A.T: Eternity , the lives of two men wonderfully transformed by the grace of God to whom the word ‘eternity’ meant so much. , Robert Annan, a hero of Dundee, and Arthur Stace of Sydney, Australia. If God spares me, I may yet write it. R.L: Nothing so far , if there’s one I’ll try to write it, since I’ve been writing books since the age of nine (various kinds of books of course, starting with WW2 fighter pilot thrillers, imaginary Test series between England and Australia, and Foreign Legionnaires, stranded in the Sahara, being eaten by hyenas). B.H: Studies in Sermons on the Mount (Dr. Lloyd Jones). A.T: An Earnest Ministry , The Want of the Times by John Angell James. R.L: Again, the Bible pre-eminently, and hearing a range of very good preachers (Stott, Lloyd-Jones, Peter Lewis, Erroll Hulse). If I was pushed I would refer to some lectures by John Stott at the TSF conference in January 1969 and to probably one of the few books that I’ve read on preaching, by Lloyd-Jones, Preaching and Preachers. B.H: Archibald G. Brown (Iain Murray). B.H: Power Through Prayer by E.M. Bounds. A.T: The Sermon on the Mount by Dr. D.M. Lloyd-Jones. R.L: I don’t say Amens when I turn the pages but I get the idea , T.F. Torrance, Space, Time and Resurrection. The chapter on ascension was breathtakingly good. A.T: Trapped in Hitler’s Hell by Anita Dittman , The suffering and survival of a Jewish Christian teenager and her mother in Nazi Labor camps. This was particularly poignant as I had visited Aushwitz-Birkenau 18 months ago and was deeply moved and horrified by the suffering of Poles and Jews in that extermination center. R.L: None. I was inclined facetiously to say Wittgenstein, Philosophical Investigations! No, I’m not a touchy-feely weepy kind of guy, less the emotional kind. I might be tempted to weep for music , Mahler Das Lied von der Erde, Shostakovich’s String Quartet No.8, Schubert’s Quintet D. 863, Beethoven’s Quartet Op 130 (the cavatina movement). R.L: I haven’t thought of it that way. I suppose Augustine’s City of God, into which I have dipped but not read thoroughly. But by mentioning it, it means I am not ashamed about it. B.H: Knowing God, J.I. Packer. Expository Thoughts on the Gospels by J. C. Ryle. A.T: I use my own specially prepared literature and then go on to comment John Blanchard’s books, e.g. Why Are You Here? and Does God Believe in Atheists? R.L: Calvin Cummings, Confessing Christ. He was an Orthodox Presbyterian minister. A.T: Ultimate Questions by John Blanchard and my own literature. R.L: It depends on the person, their background and interests , at the very basic level, John Blanchard’s Ultimate Questions (I arranged for my deacons, who were very active in mercy ministry, to hand out copies when they were involved with people outside the congregation who were in need, alongside the material assistance they gave. But these were people who were not necessarily thinking about becoming Christians). It could be anything from John Stott’s Basic Christianity to, more obliquely, Herbert Butterfield and latterly Jonathan Hill on the contribution of Christianity to civilization. These days few people read more than 140 characters. B.H: A modern biography of Captain Allen Gardiner of Patagonia. R.L: Does anyone think that a modern day book on Christianity and the Political Order is needed? B.H: Leading Little Ones to God (Marian M Schoolland) and The Child’s Story Bible by Catherine Vos. A.T: The Child’s Story Bible by Catherine Vos. R.L: I doubt whether anything could be better than the one my own children read, Marian Schoolland’s Leading Little Ones to God. A.T: I often return to books that I first read 30 or 40 years ago. The books of many authors have played a great part in my life and ministry, particularly those of Iain Murray and Stuart Olyott. There are church history books; biographies by Iain Murray, e.g. Spurgeon: Early Years, Full Harvest; Arnold Dallimore’s biography of George Whitefield, Life of David Brainerd. I love the Old Testament Bible commentaries by John Currid, Dale Ralph Davis, and Iain Duguid. New Testament commentaries of William Hendrikson and the series by Dr Lloyd-Jones on Romans and Ephesians. Where do I stop? I am so thankful for the wealth of literature that we have in English. We owe so much to Banner of Truth.